This year marks the 400th Anniversary of the life of William Shakespeare. 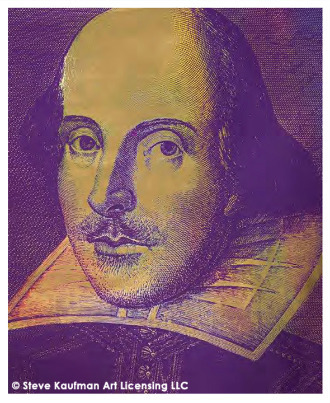 The 44 by 54-inch honorary painting “Shakespeare State Two” created by Steve Kaufman in 1996 was chosen from four works presented to The Shakespeare Birthplace Trust by Diana Vachier of Long Beach, New York, who worked alongside the late artist Steve Kaufman, former assistant to Andy Warhol. The oil on canvas silkscreen painting arrived at Shakespeare's birthplace in mid-April, just in time for Shakespeare's birthday kick off and year-long celebration worldwide. The painting will remain on permanent display. New Place was Shakespeare's family home from 1597 until he died in the house in 1616. 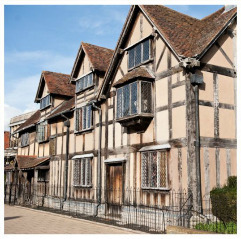 When Shakespeare bought New Place, he was an established playwright and it is believed that he wrote his later plays there. The house was demolished in 1759. 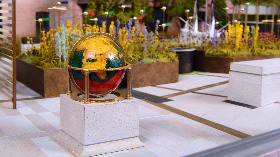 Beginning July 1, beautifully restored gardens, a new entrance on the site of the original gatehouse, and contemporary landscaping will reveal the home's original footprint. A new exhibition of specially-commissioned artworks will commemorate its importance, and allow visitors to make their own personal connection with Shakespeare. 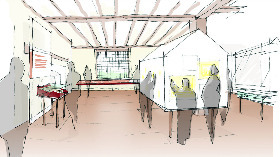 For more information about The Shakespeare Birthplace Trust and New Place, please visit https://www.shakespeare.org.uk/visit/shakespeares-new-place/. April 20, 2016 / Long Beach, NY – April 23, 2016 is the 400th Anniversary of the life of poet and playwright William Shakespeare, and to mark this momentous occasion, one Long Island painting is headed to the birthplace and home of William Shakespeare at Stratford-upon-Avon in Warwickshire, England—where it will remain on permanent display for generations of people to enjoy. 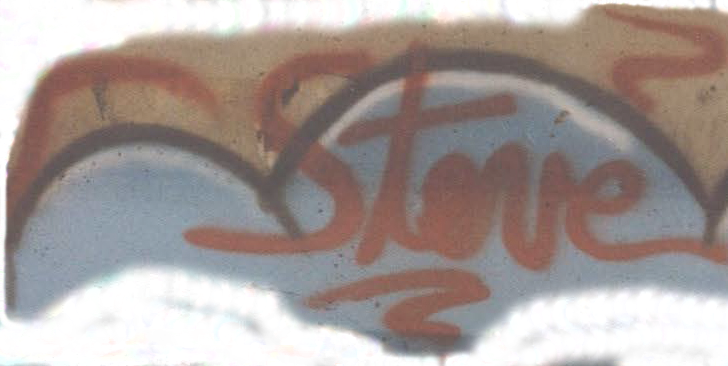 created in 1996 by American pop artist Steve Kaufman as a tribute to this historical icon. 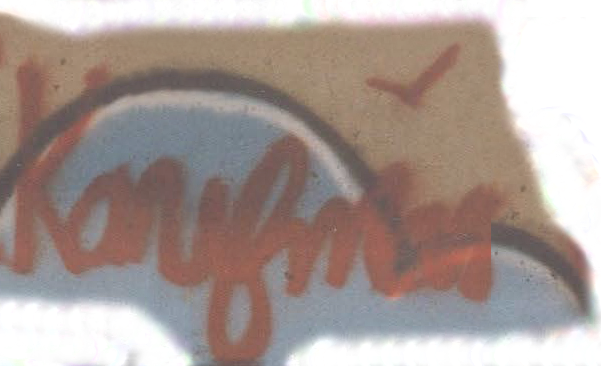 (See attached image). The 44 by 54-inch painting was chosen from four works presented to The Shakespeare Birthplace Trust by Diana Vachier of Long Beach, New York, who worked alongside the late artist Steve Kaufman, former assistant to Andy Warhol. The Shakespeare painting was shipped earlier this week, and will arrive just in time for a year-long celebration and calendar of activities that will kick off this weekend and be observed worldwide. 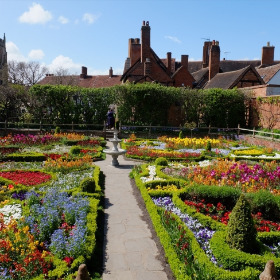 In Warwickshire, England, the streets will overflow with music, pageantry and drama as this major milestone brings together performers, artists, and visitors from around the world in a vibrant celebration of the life and works of William Shakespeare. William Shakespeare was born in 1564. The exact date of his birth is not recorded, but it has been calculated that it is most likely to have been April 23, as he was baptized 3 days later. Shakespeare died on April 23, 1616 at the age of 52. He left a legacy of popular works, including approximately 38 plays, 154 sonnets, narrative poems, and verses. 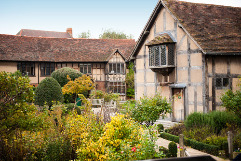 For more information about The Shakespeare Birthplace Trust, please visit http://www.shakespeare.org.uk/home.html.